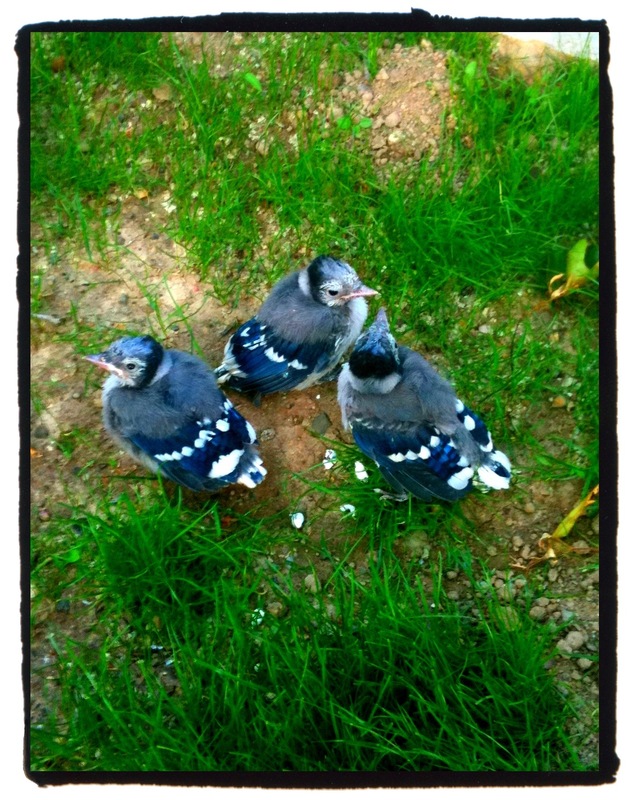 On Monday, we found three baby blue jays huddled on the ground. They were clearly unable to fly with their little wings still covered in down. The mother kept coming by and swooping in, quickly feeding them and taking off. After a while, I noticed she wasn’t feeding one of the babies. The next time the mother flew down from a nearby tree, she was trying to coax the babies across the lawn, helping them to gain strength and keep moving. The little unfed one struggled to keep up, falling head first with every step. Finally, it gave up. It was clear the mother wasn’t coming back for it. Because I can’t handle watching any living thing make a Sophie’s Choice, I made my mother take the baby bird and put it in a box, surrounded by grass and towels. My mom made chirping noises at the baby bird and it chirped back. She tried to feed it, but it turned its little head away. We knew there was no hope. Nature might be near perfect when it comes to survival of the fittest, but it’s still cruel to the compassionate human eye. The baby bird died the next morning, but there was something both sad and beautiful in seeing my mom pick up and take over where the blue jay’s mother could not. Sometimes we forget that we are all animals; all imperfect birds trying to fly.